The Curva Sud faithful had been singing it since the gates had opened at 6pm, almost three hours before kick-off, and hardly stopped until long after the AC Milan players disappeared down the San Siro tunnel after the 1-0 victory over Fiorentina. It was January 17, 2009. Fast forward exactly four years, and the events of the emotionally-charged five months that followed were thrown back to the front of the mind thanks to the announcement made by Milan’s official TV channel that the club were in talks with Real Madrid over the Brazilian’s return. There was the salute from the windows of Via Turati to the hordes awaiting the news that Kaka would not leave for Manchester City for a world record €120 million fee, then the eventual exit for almost half that price when Real Madrid came calling that summer. Since then, there has been the odd high for both the player and the club he left behind, with a title here and there, but few could claim the transfer was a success. If there was any winner in the €65m deal, undoubtedly it was the Rossoneri. Then 27, Kaka was young enough to command a transfer value higher than everyone bar Zinedine Zidane before him, and with the first team in need of regeneration, they had every reason to sell. Emotion had kept him away from Manchester, but Madrid were a very different prospect, and as soon as his head was turned there was almost no decision to make. He was on his way. And as the last three-and-a-half years have passed, the Diavolo’s decision to part with their beloved No.22 has appeared ever-more warranted. Fitness and form have deserted the Brazilian at various intervals during his Blancos days, and the frenzied revolution attempted by Florentino Perez and now Jose Mourinho has largely taken place without his presence on the field. It is almost a copycat scenario to the one which saw Andriy Shevchenko leave Milan for a big fee, only to be welcomed back later and prove that the timing had been right for a parting in the first place. Bringing back Sheva was a romantic, nostalgic move, and the decision to approach Madrid now smacks of the same thing. “I typically hold a firm line on the topic of getting back together with ex-girlfriends and I can’t help but think Milan’s reunion with Kaka falls under the same umbrella,” says Rossonero Gianfranco Barbato of The Offside – AC Milan. “In theory these sorts of reunions are typically built on good memories, and the hope that the new time together will be just as good. Milan and Kaka are by no means short on great memories, 2007 was a magnum opus for him and the club. I am sure many look back longingly on those moments hoping for the same result. “The reality is that since Kaka left he has been a player in decline who has never found his legs in Spain or delivered on his massive transfer fee and wages. As much as Milan need a veteran it is not in the attack, and money would be better spent in defence. And in that, there is a key point. Money is in short supply at Via Turati, and there are headaches all around the pitch. A club that have been praised in recent times for refocusing on young talent are threatening to slip back into the bad old ways of seeking short-term, big-money solutions. Kaka has said he will take a wage cut to make the move, but he’d still be earning a lot more than many modern professionals. Added to that, Madrid still hold out hope of getting some kind of fee for offloading him, be it temporarily or permanently. Is that where Milan’s limited funds are best spent when they have struggled so much at the back and across the centre of midfield this term? 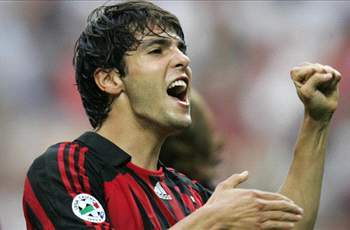 Now 30, Kaka is not the same Kaka he was when Milanisti begged their club not to let him leave. If Milan, as seems likely, were to miss out on the top three this season, then the next time they have a hope of being in the Champions League will be in September 2014, when the attacker will be 32-and-a-half. He has an uphill task on his hands to prove himself worthy of the money, worthy of the hype, and worthy of the change in focus away from young talent. He’s a reminder of a glorious past, and the majority of Milan fans are unlikely to buy into the inevitable script from Adriano Galliani and Silvio Berlusconi that Kaka’s return signals a major coup.